From this spot they controlled the sea routes towards northern Africa and Italy. Their city-state had laws and a political system that led to the development of a progressive community. The strength of the local economy rested on skill in navigating the sea, which led Phalasarna eventually to become a naval power. In the 4thcentury BC, Phalasarna fortified the city with huge walls and other military buildings. Ancient geographers described the “closed harbor”, which the Phalasarnians carved out of a lagoon, and surrounded with quays and defensive towers. 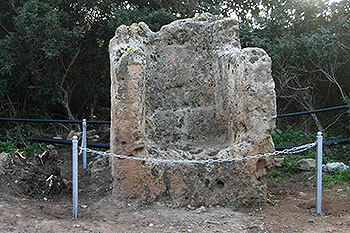 The harbor design has Phoenician elements, and the famous “throne” of Phalasarna, which one today sees on the road traveling towards the archaeological site, was probably dedicated to the Phoenician goddess Astarte, protectress of sailors. The Phalasarnians traded with people all across the Mediterranean and must have had close relations with the Phoenicians. They also were famous as warriors; their skill in battle made them rich as mercenaries, and history mentions Phalasarnians as leaders of military campaigns of Greek kings. The city-state of Phalasarna had silver and copper coins and worshiped the goddess Diktynna from a temple that had a panoramic view a the top of the acropolis. Workshops produced elegant vessels and statues based upon Athenian prototypes. Phalasarna’s art, architecture, and command of the seas earned it a place in ancient Greek history. buried in mud, and lost for another 1600 years. Rescue excavations began in 1966 and uncovered many graves, producing hundreds of finds now on display at the Museums of Kisamos and Chania. Research excavations commenced in 1986. The harbor, long completely buried and lost, was brought to light. So far discoveries include towers, quays, defensive walls, a public road, baths, water tanks, an altar, warehouses, and a wine factory, all of which verify the historians’ accounts of the city. The excavations have only begun to uncover the once glorious city of Phalasarna, and no one can guess how much remains to be learned in the future. The rights of the depicted monuments belonging to the Ministry of Culture and Sport (N. 3028/2002). 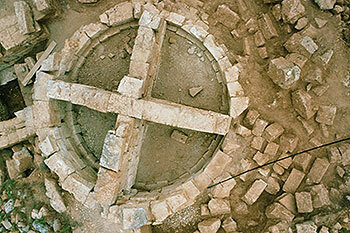 The images are from the archive of systematic excavation of Phalasarna. Working Hours: Daily 08:30 – 15:00 except Mondays. General Admission: 2 euro for 18 to 65, 1 euro under 18 and over 65. Working Hours: Daily 09:00 – 15:00 except Mondays and weekends. 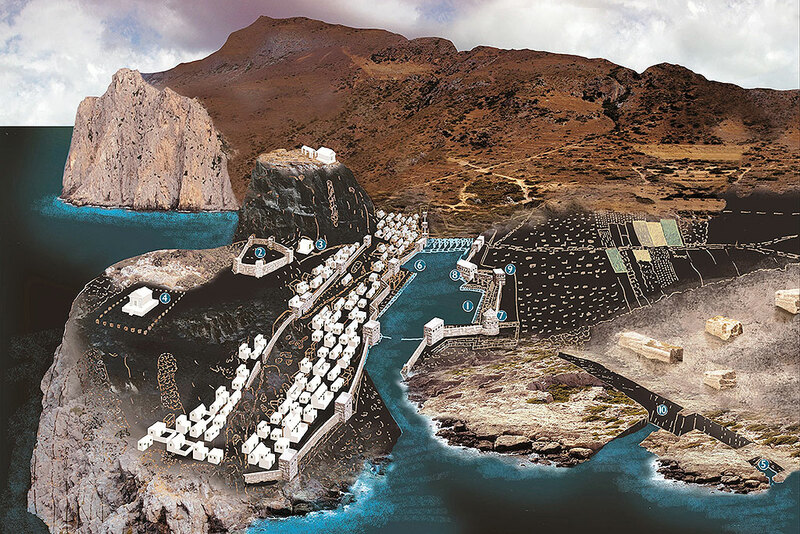 Download the app: The ‘Phalasarna’ app for iPhone and iPad is a situated simulation from Ancient Phalasarna on Crete and is available for free download on Apple’s App Store.